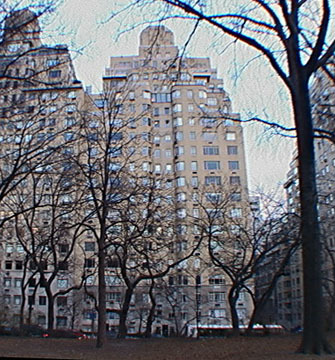 One of several beige-brick apartment houses built shortly after World War II in the 60’s on Fifth Avenue, this pleasant, 21-story cooperative apartment house has 106 apartments and a prime location of the south of The Frick Collection and to the north of the heavy traffic at major Central Park transverse roads. Built in 1949, the building has an entrance on the side-street and many corner windows. Although these windows are not curved, the bays in which they are located are and they give the building a pleasing soft edge. With an attractive watertank enclosure, this building is contextual with its neighbors and its top is nicely terraced. "To make way for William I. Hohauser's 870 Fifth Avenue (1949)..., the houses of M. C. Inman (R. J. Robertson, 1893) and Robert L. Stuart (William Schickel, 1882) were demolished. The Stuart house had been extensively altered by McKim, Mead & White following its purchase in 1897 by the financier and sportsman William C. Whitney. The new building, with nineteen stories and a penthouse, lacked the interest and panache of the Century, the New Yorker, the Cardozo and the other small-scale, shipshape hotels in Miami Beach for which Hohauser had become known. It was not even as interesting as his depression-era apartment houses on the Bronx's Grand Concourse, such as the Dorhage and the Edna. Still, the beige-brick building...contained numerous indentations and rounded bays to create a lively effect. But it also essentially filled its site and zoning envelope, respecting the street's dominant building wall. The building's principle entrance was set into a two-story-high concave recession along the Sixty-eighth Street facade." 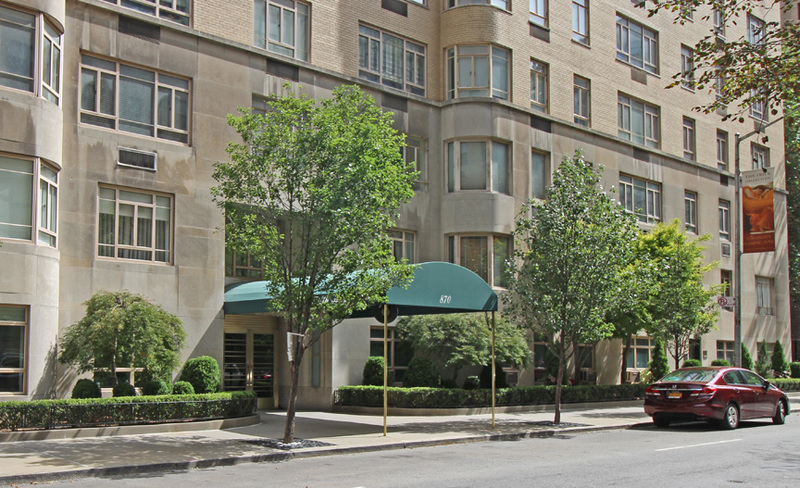 Although this building is relatively modest by Fifth Avenue standards, its fabulous views of Central Park and the midtown skyline, attractive side-street entrance, and very convenient location make it very desirable.